Paul Fugleberg has been writing newspaper columns for 57 years. In this book he has compiled several selections of his prize winning columns, articles and short stories including history, events, places, humor, personal musings, special people and more. 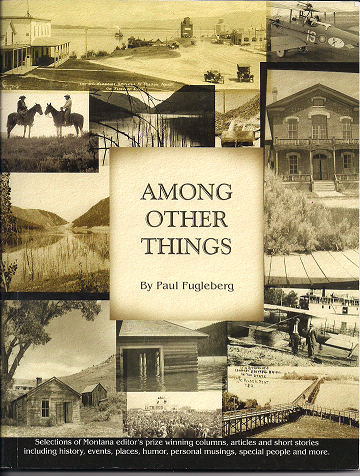 Paul Fugleberg was editor of the weekly Flathead Courier of Polson, Montana and Co-publisher of the Courier and the Ronan Pioneer from 1959 to 1980. Prior to that he worked in Great Falls, and Roundup, Montana, Canton, South Dakota, and Bishop, California. His articles and photos have also appeared in numerous national and regional magazines and daily newspapers.